AirForces Monthly - October Issue - OUT NOW! The French academy for test pilots, the École du Personnel Navigant d’Essais et de Réception continues to develop in a fast-paced world. Frédéric Lert profiles this fascinating unit. AFM was granted an exclusive opportunity to interview Royal Jordanian Air Force commander Maj Gen Yousef A Al-Hnaity to discuss recent changes and the future of the air arm. Marco Dijkshoorn reports. Thomas Newdick visited Royal Naval Air Station Yeovilton to speak to Army Air Corps Wildcat AH1 crews, recently returned from a successful debut deployment to Estonia. Jamie Hunter joined the RAF Typhoon Force as it provided a centrepiece to the incredible centenary celebration flypast. This year, the Syrian Air Defence Force has been on the receiving end of attacks from Israeli, US, British and French strike aircraft and cruise missiles. 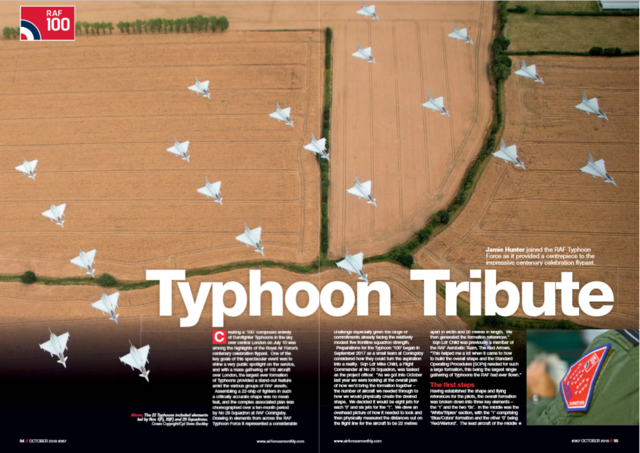 Tim Ripley examines the deadly duels in the skies over Syria. It may be a reserve squadron flying ‘legacy’ aircraft, but Dallas-based VMFA-112 is an exemplary US Marine Corps fighter unit and is ready to go to war at a moment’s notice. 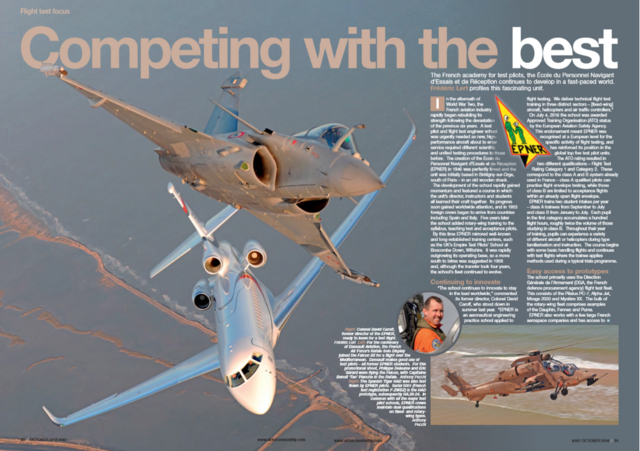 Frank Visser visits the squadron and sees how it maintains its fighting spirit. 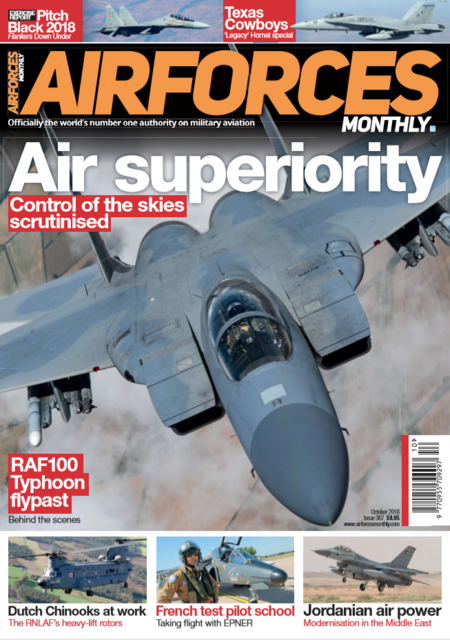 AirForces Monthly is AVAILABLE NOW for just £4.95 from the Key Online Shop. Alternatively, you can purchase your copy from WHSmith, any other leading newsagent or download your digital copy here.